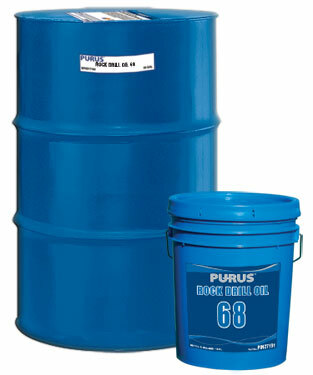 PURUS® Rock Drill Oils are blended from highly refined base oils and special additives which produce an excellent lubricant for air powered equipment. The naturally high viscosity index provides optimum lubrication for both low start-up temperatures and high operating temperatures. Extreme pressure additives prevent wear and withstand the high loads commonly encountered in rock drills, jack hammers, pavement breakers, stoppers, drifters and down hole drills. PURUS® Rock Drill Oils are designed for use in both construction and mining equipment, and other pneumatic equipment applications. 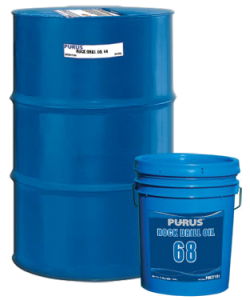 PURUS® Railroad Diesel Engine Oils are formulated to provide all-season lubrication in 2-cycle and 4-cycle, low and high horse-power, turbocharged, railroad, marine and stationary diesel engines requiring zinc-free lubrication.